Director, Joshua Oppenhiemer. Denmark/Finland/Indonesia/Norway/UK. 2014. 1hr 43 Mins. Subtitled. Cert. 15. Documentary. From the Director of The Act of Killing. Assisted by Werner Hertzog. 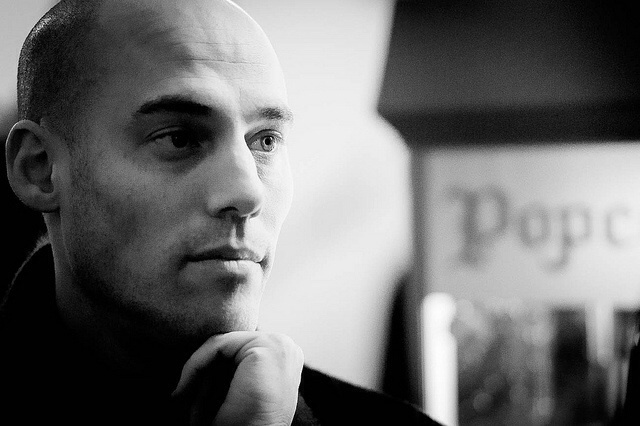 Live talk with Joshua Oppenheimer via. Satellite open Q&A hosted by Louis Theroux on Sunday 14 June 6pm. Tkts £8. 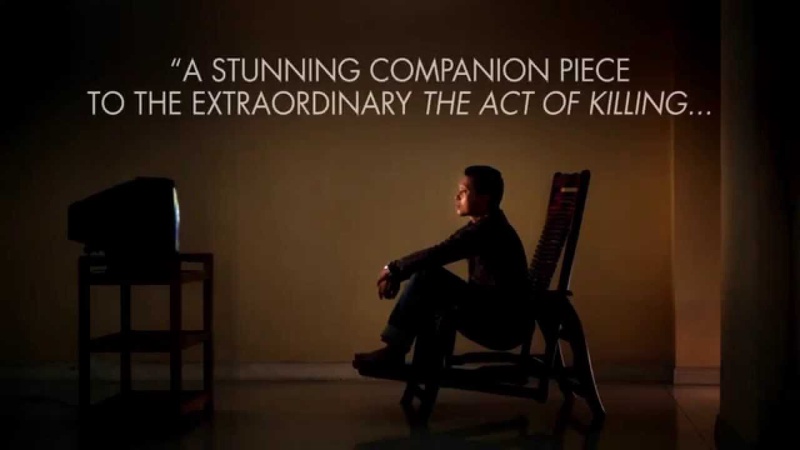 This film follows the aforementioned and is a story of the quest of a 44 year old man to find out the truth about the imprisonment, execution, loss of his elder brother Ramli. The director begins the film by showing Adi’s skills as an ophthalmologist assessing the eyesight of his Indonesian community. We witness also his very frail and tiny father being washed by his loving mother in their humble home. Mysterious jumping beans appear in close up across the titles as we nudge towards the detail which will bring you almost to suffocation limits as it entombs you in its dreadful narrative. The family is to be taken back if only by memory to the mid sixties and the imperial and military genocide brought upon the islands of Indonesia by the attempts of anti-communist forces empowered from within and abroad to revolutionise the regime who remain untouched by democracy. Adi who plays with his daughter in the opening sequences , has been accustomed to a way of life without questioning the remaining cloud of silence and discomforting presence all around of unanswered questions but here is his desire to know the truth and make it open to us as well as him.. In South Park there was the expression of ‘derp’ for the adherence to features of an intellectual – physical or mental landscape which repeated despite constant reminders and understandings to the contrary – the perceptions of things not being as they appeared or were. The appearance constructed to avoid truth. In the world of make believe politics very little is said of these arenas of past conflict lest they erupt and on from the Arab spring which is an ongoing morass of infiltrated disrupted and corrupted political divisions and shifting mediation apparatus we notice little from where we are of course, the underlying savage brutalities which came about and remain unaccounted for in Chile, Indonesia etc,. The reason we adopt a blurred vision is because of our own lack of control over our looking back. Several recent instances of cover up, state interventions which we’re appealing acts each and of themselves are held under the auspices of the erstwhile serial denier Ms. Villiers acting as the British Governments shield and firewall she ignores the exposure of information and sits on secret agents files and dossiers which would upset the status of her beloved Sovereign state – the British Empire in all it’s mire of brutal governance. And her summary allegiance is itself her purpose. The collective assertion of Government being worth a hill of beans when it uses the people for group deceit. It this place the use of the wealthy and elite meeting, now joined in the Austrian Mountains; how appropriate by Michael O’Leary for the Bildenberg ‘G7’ and the a arrangement and navigation through the spoils of war. The floodgates will not be opened on her watch. No instead a lot of noise on meaningless pond life corruption in sports will suffice. The Football of bread and circuses. The Resurrection of feudal Welfare regimes and dismantling of a Health system which could be cured by the execution of a willingingness to provide proper foods and diets is scraped off the land and soils of her merry land and anew the cupboard is full of exotic flannery. It is hideously delusional in this case, not a case of South Park cheap cynicism employed for thin shifts of tonality. No this is the delusion met when genocide has been borne by families and those living with it are bound perpetrator close to victims family. When did Britain endorse mass slaughter if not back through the Tony Blair era then more in the bombings of Israel and drones of recent deployment. It continues. That mankind must adjust is never forgotten here. The purpose of the documentary here is the erosion of fraud. The inevitable presence of God in sharing the spiritual renaissance of humans who have transgressed, whose forgiveness is central to a society requiring healing is encountered here also. Some reflecting on the horror of humans killing barbarically are often found summoning up the thought that they wish and hope those requiring forgiveness shall be found answering in finality to God. It is not in anyone’s gift to implore Gods intervention as God as spoken. The advancement into Gods peaceful existence is a matter of personal faith each single journey implores and since those times there has been a journey taken by many within Indonesia which has summoned up extrordinary depths of forgiveness. There has also been a lack of remorse or summary exclusion of guilt or regret issuing from the perpetrators of the violence. When you look at the study forms of the people formed and repeating here their crimes, such as Reicher and Hopuris 2001. “Social identity is the psychological process that makes group behaviour possible.” Alongside the ‘in-group’ membership consolidation, often found in jihadist mind sets, looking with intent at ‘out-group’ responses to acts of barbaric and violent visual and media amplified example, it is abundantly clear these reasonings come from identity challenges. The Republican challenges of here in the sixties and seventies were about drift away from collective substance, underlying degrading abuses – clerical and political and exploitation were also a contributing factor and the subsequent guilt of the knowledge of the significance of the Wars, First and Second were dispatched to the minds of tiny teenage infidels who began with showbands progressing to rock rebellion of the James Dean kind in their land of mocked self identity. The labyrinthian byways of Yeats and the minor authors; minor in the quest for disrobing status, O’Brien, Donleavy, other diaspora all came forcefully into the canon of national identity framing a new rebellion. Began so identity meaning quest. A chief aspirant at the alcohol bar pumps replaced, subjugated by the hoods and violent gangmaster idealists whose functions were defined by armaments with politics to follow later in a violated form. They would not have been on the life removal brutal edge of the people in this film, they may have been of equivalent cruelty in privacy but the connections can still be made and even attributed to each other as exponents exemplar. The tears and broken feelings pouring out to God for help is the same. The asylum was now open for new boarders. The collective conscious is blamed each time Adi reaches someone whose job it was to be a component of the killing or do the Act of Killing. Adi scours the Indonesian islands finding willing confessions to the Killings and methods used. He encounters, and while he encounters, remains expressionless not betraying any emotion as both he and camera operatives, the Director, recover ever document of personal confession. A television showing interview tapes of previous interviews conveys the stories of two central figures. The self confessed assassins of his brother. 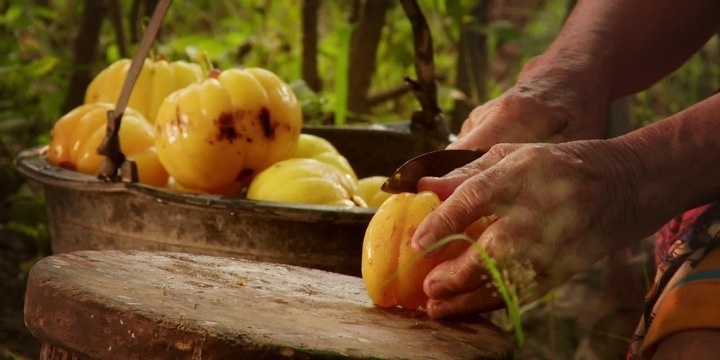 Other documentary pieces are interwoven of Political exponents for genocide. Adi interviews in a central element of the films accredited exposure, a current leader of the Indonesian regime. Their approximation to self understanding is incredulous to watch. They are perpetual deniers of any failure of self. Of being of Gods kingdom. They have not found within themselves the evaluation of having taken a life against Gods will. The horror is implicitly theirs and their ownership clear yet they no not what they have done and find it within reason. The reason is axiomatically unexplained. This is a challenge not on our part in viewing but for the participants coming to terms with the discoveries continually emerging. The confessions, open expression, learning insights are unimaginably raw and incredibly direct and frank. They are told in the main with the perpetrator usually resorting to humour or acting as though any sense of improper participation was not normal or a transgression of their contract with God. Their part in creating and exercising by executing their often known neighbour. Distance of killing is often important as the person issuing the orders often finds his past easily adjusted. 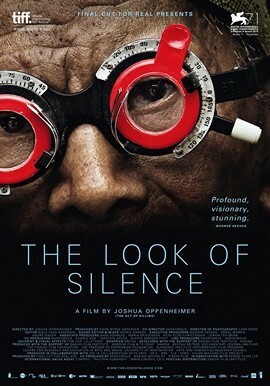 While Adi who has now relocated with his near family in order to survive what the has now done – the sitting in rooms asking the perpetrators, in exchange for new glasses to disclose their past I with Director Joshua Oppenheimer and his carefully briefed crew all on their nerve ends listen intently to the newness of the stories Asi is able to extract. Adi has realized that the conflict set up in these peoples minds exists as a sense of guilt and in aimlessly asking, though it is not aimless in any manner, being explained as inquisitiveness ‘as to how people in the past lied, he has been curious as he ages, the tumult is also under the surface as the momentous revaluation comes out in each individuals case. It bis a disclosure the guilt factors to expand and it is nature to or the human weakness to try and assuge that guilt by any other means than it being left inside them as ‘guilt’. There is no visible connection to guilt yet it is the vehicle which drives on this outcry, the speech and story. The encroachable is the Directors cue to produce it on film. The act of trespass has to happen, be unfurled. This is done exquisitely by the use of a highly inventive soundtrack. He has around twenty tracks of insect noise. At first it is not noticeable but gradually they lift individually. When a scene is developing the track of insects sounds like the listener. As the viewer is walking into a temple and hears the presence of ghosts. Those millions of ghosts. The temple could be the forest or the room with an open window. The sound sixths ubiquity of a collective summary of silence contrasted. It speaks to me as the opposite of the time of the persecution, of the time of the consciousness being taught or told not to speak a word, or now even to tell a soul of the dehumanation of the acts found of killing. Self stereotyping, Solidarity, Social influence, Consolidation function, Mobilisation function, Social identity performance, Normative fit, Comparitive fit, Maslow heirachy of needs, Self actualisation, Zuckerrman 1994, Sensation, Hans Eysenck, personality traits, Gray, reward and punishment, Classical conditioning, identity motives, Davidio et al, 2002, Representative Heuristic judgements, Cognitive dissonance. There are above continuities of the sources of human behaviors while the outcomes are continually challenged by study and new manifestations not anticipated or seen in sets of circumstances. The Ebola fear brought new assumptions of choices taken en-route to the possible/probable eradication of a deadly scourge. It was and is a deadly communal tide of destruction requiring extrordinary nuanced development of answers and facilitation of objectives. War is on the other hand a defined judgement which is now entering a non – national hindrance. The questions asked are to be the solution. To make up the question is like the invisible computer. It is the fulfillment of what is right and needed. As in technology – the ownership of which often directs the killing, – this week sees the paper confirming the invention of an invisible cloak being published, to the Don Norman from the Kerberos, the three (dogs) heads of the Computer, we in the period which can be isolated to ones lifetime have adaptable means but little presence of mind to question the dubious intuitions offered daily as explanation. We are unable as yet to discern and evaluate of the Don Norman (MIT) insightful psychotic state often hand in hand with the human races striving through existence by means virtually misunderstood. The Documentary itself can be seen from Friday 12 June through to 18 June 2015 at QFT Belfast. On Sunday 14 June 2015. A Q and A. 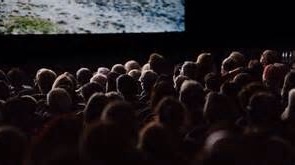 Precedes the evening screening but please check for details as the June edition of the Paper booklet does not list the dates I give here which are taken from the Conversations about Cinema pages of the same booklet. 18/19 Impact of Conflict. Try http://www.queensfilmtheatre.com for your reliable guide.